Gov. 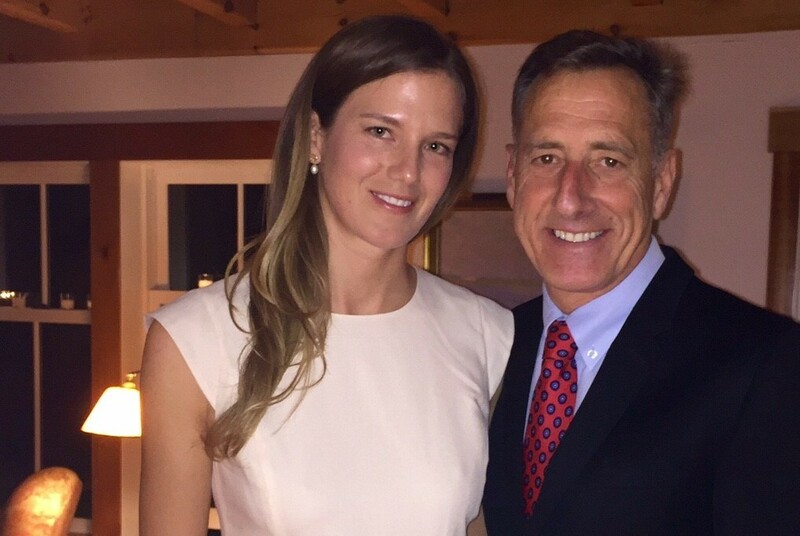 Peter Shumlin and his fiancée, Katie Hunt, were married Tuesday night at their East Montpelier home. Shumlin, 59, and Hunt, 31, announced in June they planned to marry but did not state a date. An announcement from the governor’s office Wednesday morning said the governor’s sister-in-law, Evie Lovett, performed the ceremony. His daughters, Olivia and Becca, and his brother, Jeff, also attended. Hunt is an artist, a landscape gardener and a student at Mount Holyoke College. Shumlin and his previous wife, Deborah, divorced in 2013. The announcement said the couple plan to live in southern Vermont after Shumlin leaves office in January 2017. Both Shumlin and Hunt are from the Putney area. The three-term Democratic governor is not seeking reelection.